Buy Davidoff Cool Water Eau De Toilette For Men online on Nykaa. The quintessential ocean fragrance, for men who forge their masculinity on the waves of action. 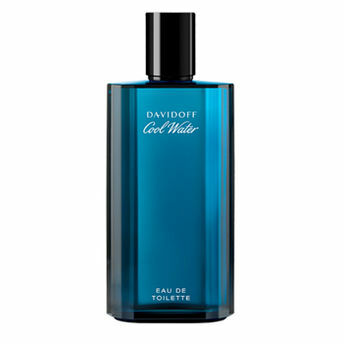 Davidoff Cool Water has the power to refresh and invigorate. This iconic masculine scent with Mossy Woods notes has a crisp edge and features fresh citrus notes and a woody dry down. While top notes evoke the intense freshness of peppermint and lavender, the spicy coriander, jasmine, oakmoss and geranium form the heart. The warm and sensual flow of amber and musk are at the base. The Cool Water man enjoys a life of exhilaration, invigoration, and pure refreshment! Explore the entire range of Perfumes (EDT & EDP) available on Nykaa. Shop more Davidoff products here.You can browse through the complete world of Davidoff Perfumes (EDT & EDP) .Alternatively, you can also find many more products from the Davidoff Cool Water Eau De Toilette For Men range.